I'm a little late on this post, but it's been a busy week because my cousin from Sweden was visiting and staying with us and now my husband is away on a golf vacation. 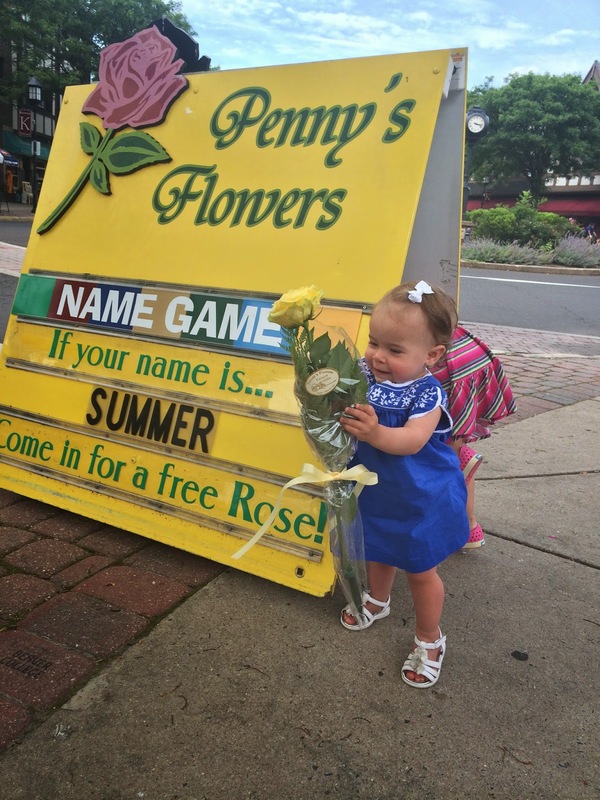 Last Saturday I was driving through town and Summer's name was on the Penny's Flowers sign for a free rose. 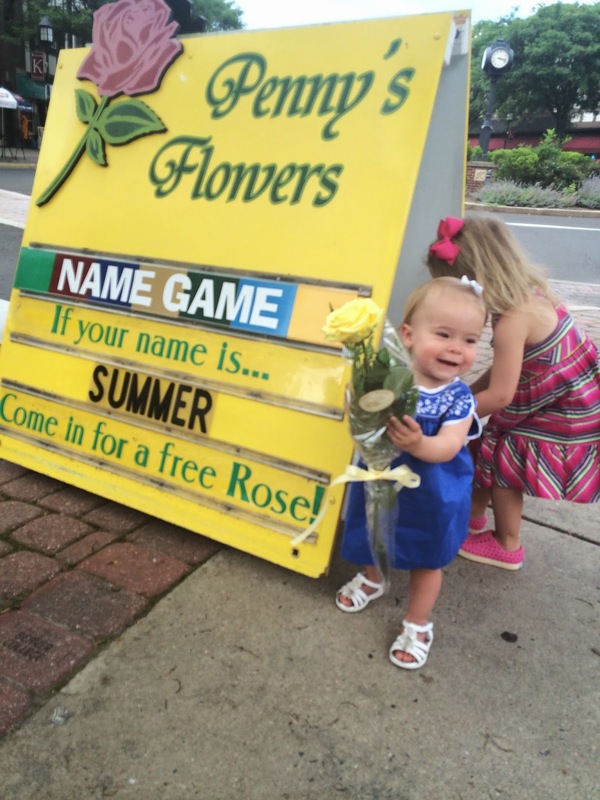 I had to wait till she woke from her nap, then the girls and I went over to the store. She was able to pick out any color and I chose yellow for her (I was tempted to pick pink because that's my favorite, but I think yellow is a good color for her). Then, of course, I had to do a mini photo shoot in front of the sign. Afterwards we met my family for a late lunch at the West Ave Grille in Jenkintown. 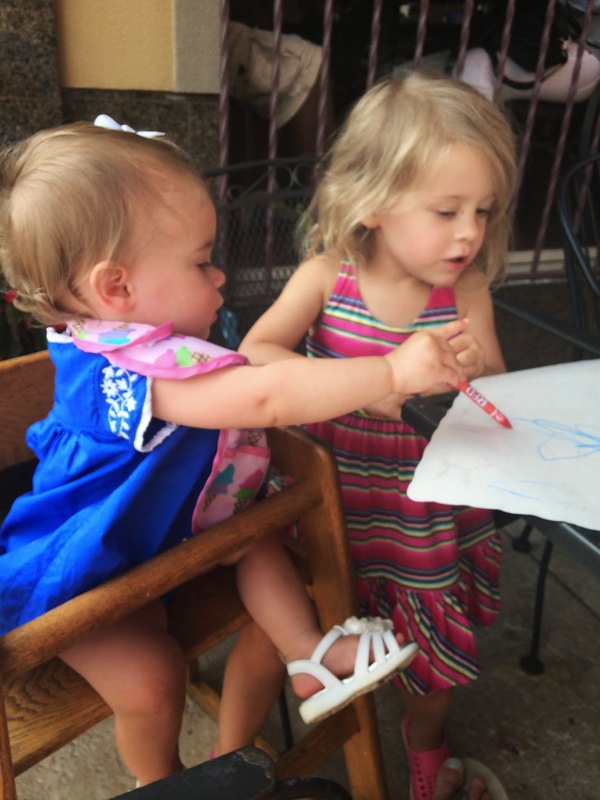 Ellie had crayons and she was the first time Summer took interest. She picked a red crayon and started coloring! I was amazed because at this age Ellie was more interested in eating the crayons. Also, this week Summer has been drawing with chalk with Ellie and I in our driveway. Then, we went to the playground for an hour. 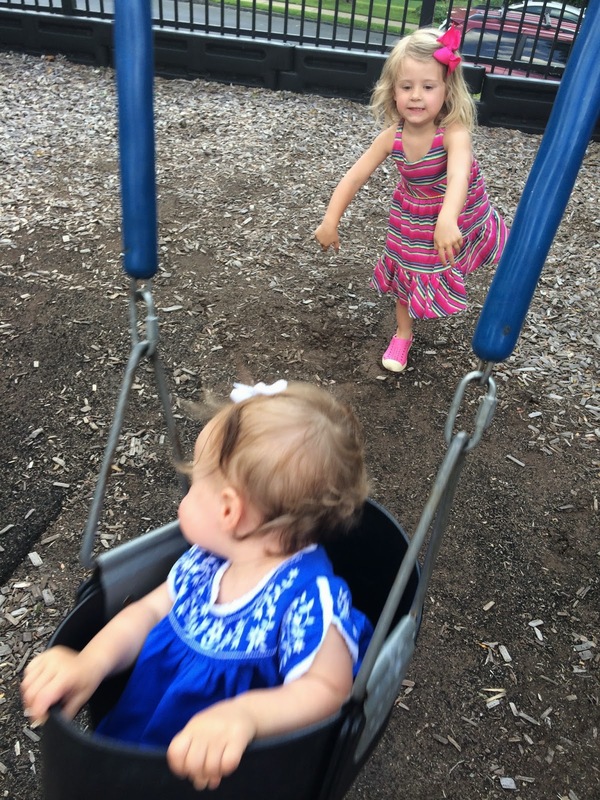 I love late playground visits because they always help tire out the girls. I've decided Summer looks good in bold hues- bright blue, yellow, hot pink. I need to buy more of these colors. 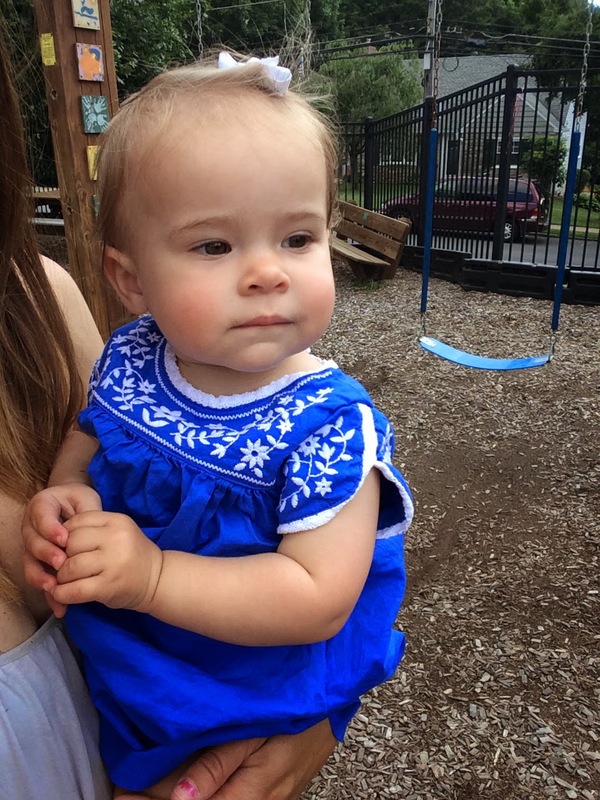 She got this dress (Carter's) for her birthday. 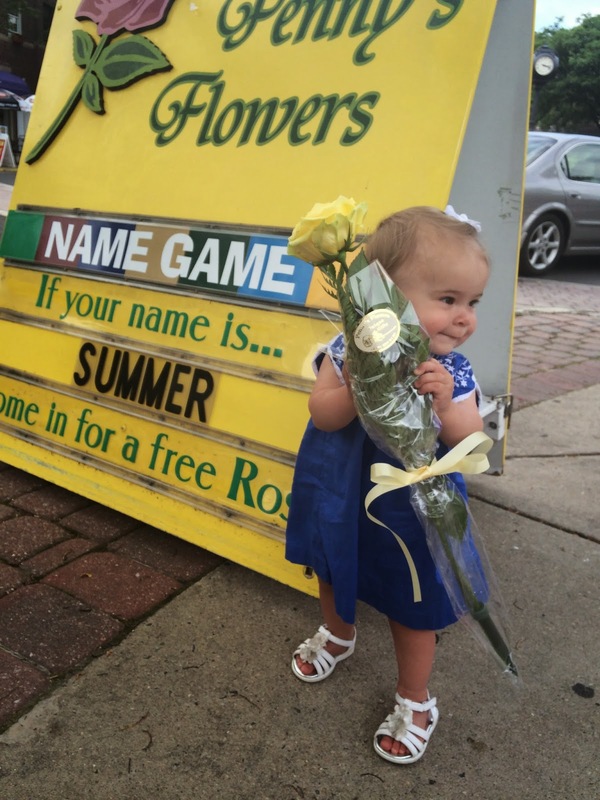 Ellie is wearing a new dress by Ralph Lauren- the perfect sundress. 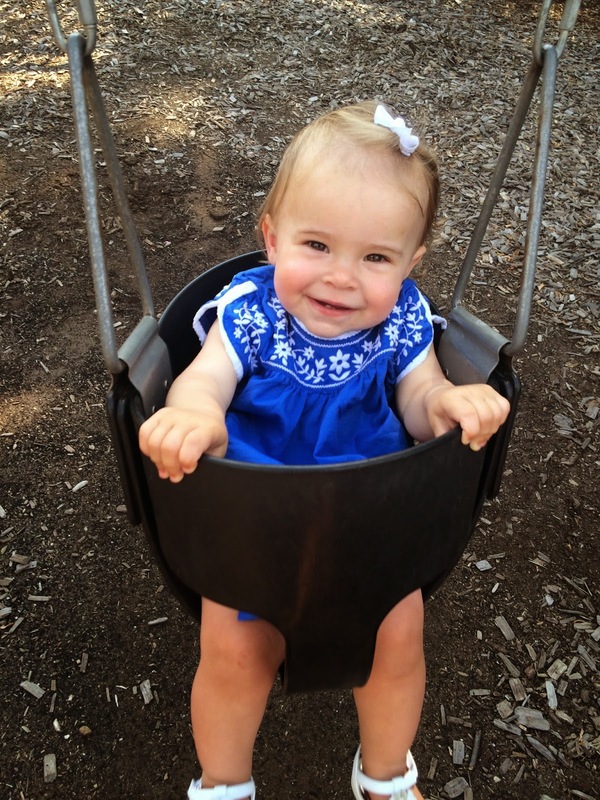 I love it because it's easy and she loves it because she can twirl in it. I just bought it in blue, too. 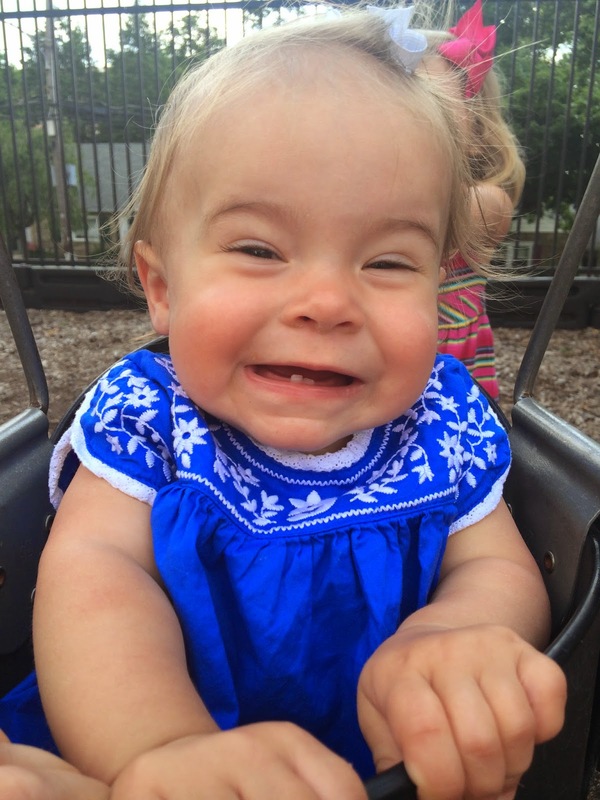 You can see in Summer's close up picture above that she got her second tooth finally! It came in on Father's Day. Her hair is also starting to lighten up so we'll see if it gets light like Ellie's. A lot of people forget that Ellie had dark hair when she was a baby just like Summer's and it turned blonde. Summer gets small curls on the back of her hair in the humidity- it's so cute. And I still love kissing these cheeks! I love this little girl!